Welcome! 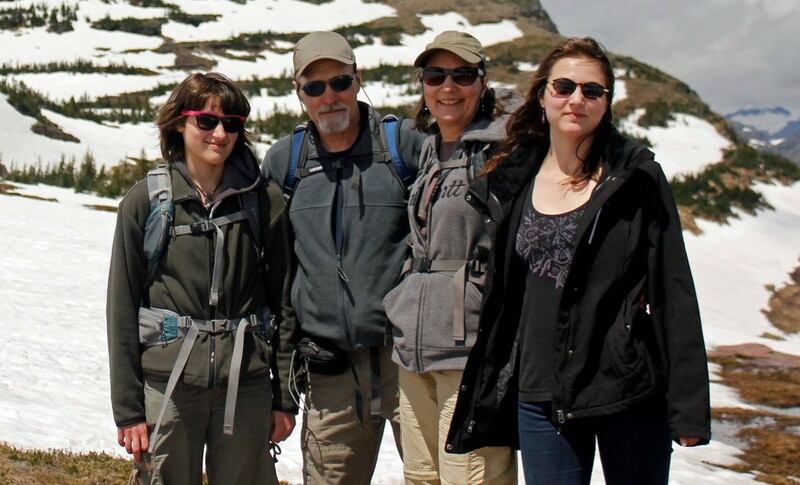 We’re the RMKK people – Eileen, David, Marlene, and Mallory. In 2005, 6 months before infamous Hurricane Katrina wreaked havoc on the Louisiana Gulf Coast, we took a giant leap from our lives in the busy suburbs of New Orleans by moving to the rural countryside of NW Montana. Life was very different from what we were accustomed to. Because we became enthralled with our new home, we thought it would be interesting to share what life is really like in the rural west. One might say this website is our version of “Call of the Wild”. With our unique perspective, and often with a southern flair, we share adventures of life at the edge of the wilderness in Montana, and beyond. All of our articles are for kids of all ages, but youngsters may find M and E’s Excellent Adventures of particular interest. Grandpa Davey Speaks is a thought-provoking and sometimes inspiring column by David. Marlene’s This and That is a collection of articles on family, homeschooling, and life. Breaking Mews is about our housebound tabby turned feline of the forest. But, you may want to simply get started by clicking on our Glacier Country category. Thanks for stopping by! We’re glad you’re here and hope you enjoy our stories.